Excursions will take place on the afternoon of Wednesday October, 12th. 2pm - 7pm, €15 per person. Places are limited to 140 participants. Includes 1 hour guided tour (in English) from 3 pm to 4 pm and 2 hours free sightseeing to enjoy the city. Additional visits (eg Cave Patriarche, Musée de l'Hôtel-Dieu) can be booked online (http://www.beaune-tourism.com/). 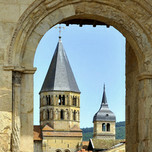 Discover the rich history of Beaune and visit its historic heart. Let your guide introduce you to its historical highlights, great and small. From its Roman origins to the golden age of the Dukes of Burgundy, this medieval town is also the Capital of Burgundy Wines. From the conference centre to Beaune (45km) the bus will go via the famous Route des Grands Crus. 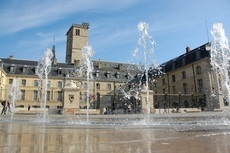 Our guide will lead you into the heart of Historical Dijon, from the Palace and the old town houses via the area around Notre-Dame and through the medieval streets. This is a great opportunity to admire the rich and elegant town houses, bearing testimony to the town’s illustrious heritage. The tour is offered free of charge, but is limited to 120 participants. Places are allocated strictly on a first-come, first-served basis and should be booked when registering for the conference.